Chestnut Grove School became a new-style, high performing Academy for boys and girls aged 11-19 in July 2011 . It has 907 pupils on roll. Academy schools are state-funded schools that are funded directly by central government and are independent of direct control by the local authority. The Academy admits 165 pupils into Year 7 every year. 30 places are offered to children who show an aptitude for Art and Design and 30 places to children who show an aptitude for Modern Foreign Languages. 105 places are offered across the full range of ability to siblings and then to those who live nearest to the school. Nearest stations: Balham (Northern Line and Southern Trains). Bus route: 155, 249, 315 and 355. 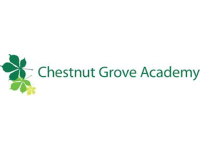 The Governors of Chestnut Grove, as the Admissions Authority of this Academy, are committed to providing an excellent education for a fully comprehensive intake and work within the Local Authority’s co-ordinated procedures for admitting students to secondary schools. Chestnut Grove complies with the Equality Act 2010 in not discriminating against the admission of children with disabilities or any other protected characteristic.